UPDATE: Be sure to check out the 2017 follow-up to this story. A month ago Tennessee announced they were dropping the name “Lady Vols” for all sports except women’s basketball. The press release was filled with the requisite marketing gibberish and corporate doublespeak that make the decision seem like it was more the result of math and science spit out of a computer than humans making the right decisions for people. A lot has already been said by others a lot more invested in this than me and with bigger platforms. But I’d like to make a few points before decades of tradition gets steamrolled for no real good end. A lot of conversation, mostly from people with no affiliation with Tennessee, has been about how it’s about time this antiquated notion that girls aren’t worthy of using the same name as the men’s teams was gotten rid of. (They always seem to gloss over how making women adopt the men’s logo and nickname isn’t sexist itself.) The argument is that there was a time when women doing something stereotypically seen as masculine was labeled to point out how different from the norm it was, like “lady doctor”. Women’s sports teams were sometimes labeled this way too to separate them from the “real” school teams, they argue. And all that is true (but probably not the case for UT). 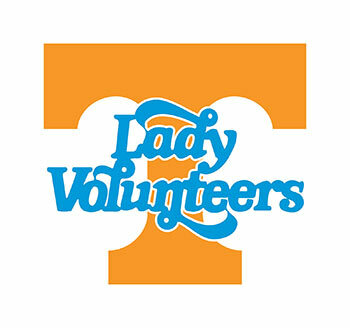 And if that was still the intent or even the inference the name “Lady Vols” gives, maybe we should get rid of it. But in the case of Tennessee, at least, the term “lady” has been taken away from those that might have once used it to belittle a girl’s team and turned it against them into a show of just how powerful and empowered women’s sports can be. No one who knows Tennessee athletics considers the Lady Vols as somehow inferior to the Vols. Any outside sports writer who thinks they know what’s better for the “womenfolk” down here is showing the same lack of respect for our choices they claim to be fighting against. The press release casually mentions Nike’s branding gurus being involved in this decision, and later reports detail that as well. If their input was a big deciding factor I’d find that troubling. According to an article, “one of Nike’s recommendations was that UT had too many colors and fonts”. Keep in mind this is coming from a company that has made a name for itself in creating a range of unique and varied uniforms for college football teams, including alternate variations they can pick and choose from during the season. (Exactly how many different uniform styles has Oregon used?) Now when they are getting ready to take over the apparel contract at a new school that would require them to use different colors, fonts, and logos for women they are worried about consistency? I admit I haven’t done official research on this, but before this was even announced I had already noticed that some of the college volleyball teams Tennessee faced that used Nike seemed to have much more plain, boring uniforms than those who did not. If those sports writers that scream “Lady Vol” name supporters are sexist want to do something more constructive, maybe look into whether female teams are getting the short end of the stick vs men in these university apparel deals! One of the most disingenuous parts of this story (I’d be willing to bet) has been the claim by UT athletic director Dave Hart that this decision was reached after conversations with student-athletes. He later added “team by team without question, the consensus was our women’s teams are very happy” and “our women’s teams received this very positively“. First of all, they really had no choice. This decision was made, according to the press release, with “the talents of the NIKE Graphic Identity Group” and after studies “conducted by the University Office of Communications and Marketing” and “in conjunction with industry leaders in higher education branding… with both audits recommending the consolidation of logos and word marks in order for better branding consistency”. They didn’t do all that work and spend who knows how much money to then let 18-22 year olds veto it at the end. Also, the athletic department holds scholarships worth thousands of dollars over the heads of these players. Who wants to be first to stand up and dissent when the guy who signs the checks asks what you think of his big idea? Secondly, Lady Vols who have talked about the decision have been all but unanimous is supporting the name “Lady Vols” (more on that below). To claim their support is much more disrespectful than calling them “ladies”. So is there any compromise available here? Maybe? (But probably not!) The original report mentions branding 18 times. The school itself is moving from the clever UT-with-the-state-outline logo to the Power T as their official logo. The press release notes, “having a consistent mark used by both the University and the athletics programs affords another opportunity for greater consistency and brand identity for the University of Tennessee as a whole and was a factor in the athletics branding decisions as well”. That’s all well and good, but it really just applies to the logo. The names “Volunteers” and “Lady Vols” only apply to the athletic teams, not the educational part of the school. So why not change to the Power T but keep the name? Yes, I get that the name is part of it all, but it is really only the logo that would be the consistent mark between the university itself and its athletic department. And to be brutally honest, it absolutely and completely goes against the entire grain of the report to remove the name “Lady Vols” from the nine teams most of the country has never heard of while keeping it for the basketball team, the most well known face of Tennessee’s women’s sports. If they are using it, there is no logical reason to remove it from any other team. So change the logo, keep the name. I’ll get you started. 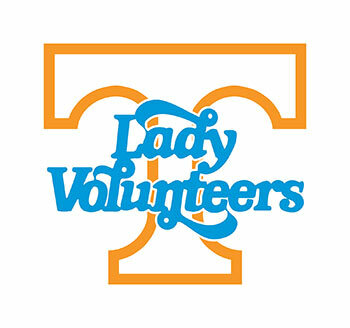 In just a few minutes I was able to make the two versions of the Lady Vol logo using the Power T seen in this article. Imagine what the school could do with all the resources at their disposal. Or if they prefer, don’t do a new logo. Just stick to the Power T by itself for the university, the men’s athletic teams, and the women’s athletic teams. Too many colors? Orange and white all the time for everybody. One name for everybody? Put “Tennessee” on every uniform. Done! Nice and consistent. And the men could still be the Volunteers and the woman could still be Lady Vols, without Nike or UT sullying the brand. Equality isn’t removing an identity strong women have made for themselves against the adversity they faced in the past and forcing them to take a man’s name, but celebrating differences without being confined by them. Respect isn’t shaming women and telling them what they should be, but letting them choose for themselves. Tradition doesn’t mean blindly accepting the worst of the past, but taking what those who came before you built and improving upon it. In the end, the women of Tennessee are a proud and extremely talented group of athletes, regardless of what they’re called.